Balancing the Masculine and the Feminine. I have had the pleasure to work with some brilliant, talented and beautiful people in the past two and a half weeks which has afforded me to have some very interesting observations. I remember some very good intuitives stating that when you do this work you will notice patterns forming with your clients and what they need to balance. Sometimes you can see these patterns throughout the course of a day and they end there, and sometimes you can see them on a larger scale over weeks, months, or even years over hundreds or thousands of people. What I have observed I feel encompasses’ an underlying pattern currently defining an aspect of the expression of the masculine and the feminine energy on the planet. This certainly does not go across the board by any means but it does pop up often enough for me to share it here. It is my intention to share this as I feel it represents patterns on a larger scale and is valid and potentially helpful to many. Males – Opening of the heart, freeing the emotional body. Many of the males I have worked with have expressed a blockage in allowing emotional energy run through their systems. For many reasons they have halted the energy of their heart and find it difficult to make room for its guidance in their life. As a result they feel stagnant and lost as it is the heart that ignites passion and provides you with a compass when you feel are lost. As I observed this I remembered the staunch and disjointed parenting techniques often used on little boys not allowing them to cry or express themselves. The emotional body must be expressed in a balanced way by both sexes, without the emotional body you can be sure that you will feel lost and you will become stagnant eventually. Rose Quartz to balance the emotional body through synching and strengthening the heart chakra. 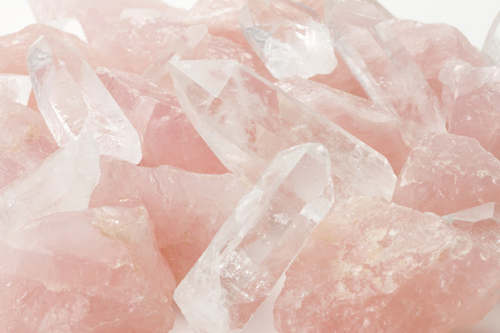 Introducing rose quartz to ones bio-energetic field with the intention to strengthen and connect with the emotions allows the rose quartz to provide you with a strong reference point due to its natural resonance similar to that of heart energy. Rose quartz echoes universal love expressed via the emotional body and having in near you allows you to reference those frequencies and in turn balance your own. If the emotional body has been suppressed it is important to understand and make peace with the process of re-introducing the emotional intuitive body to your conscious awareness. Many times a full release will occur where the emotional body purges and releases pent up feelings, these releases can include vivid memories that can be difficult to process. It is important to surrender to this process as the heart and the emotional body need to harmonize all of the charged energy that has been suppressed in your emotional center. Just because you are not thinking about it doesn’t mean it’s released and dealt with. The energy is still there, charged, inside you affecting, your cells, your thoughts and of course creating a magnetic pul in your life. Unreleased emotional energy will magnetically draw in similar experiences in your life in order to get your attention to release it and deal with it. Allow your self to be the observer of any suppressed emotional energy that surfaces as you release and know that by observing it with the intention to transmute it is good enough to re-stabilize your emotional system. Females – Achieving balance and expressing ones heart. The men were mainly about establishing a connection with the heart, where as the women had a connection with their heart they were just having difficulty expressing and following it. Many women felt blocked or torn on how to follow their hearts. It seemed their main block was having the courage to take the risks that their heart was telling them to. One major theme in their journey was taking a leap of faith and following their intuition. The amazing thing was that many of the beautiful women I worked with were one leap away from becoming extremely connected, (even more) empowered beings as once this leap is taken miracles happen and it becomes easier and easier to take leaps in the name of ones heart. 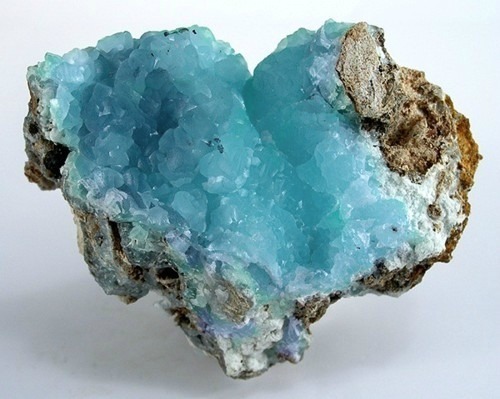 Blue topaz is about clarity of communication. Communication with others and of course communication with ones self. This stone represents cutting the fat to get to what you really need to be experiencing. By having it on you with the intention to express from your heart you will be encouraged to become more genuine and have more integrity to yourself. Your path will become more clear and you will find it easier to see your way. The second aspect of the females I worked with was balance. Many women found themselves lacking significant time to really get quiet and connect with themselves. This lack left them feeling a lack of depth in their lives. Many of the women were actually highly creative individuals and needed to spend considerable time each week relaxing and creating art. We are all artists, art is not about painting, dancing, or whatever else pops into your mind when you think of “art”, it is simply the creative expression of ones heart. It is something that we do naturally when we are inspired. It was this downtime where they would create their art that would feed their soul to continue to be productive, loving and balanced human beings. Hematite is grounding and balancing. It has a wonderful ability to stabilize internal conflict and draw you energy downward into a grounded balanced state. 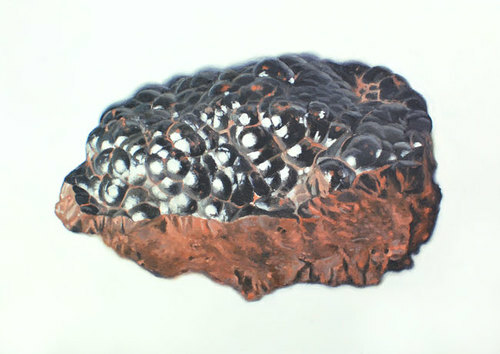 Hematite can help us re-connect and ground in order to become more creative and more productive. Creativity is as much about being grounded as it is about funneling spiritual inspiration. How do I Develop a Stronger Connection to my Higherself? While working with people they often ask me: “how do I become more intuitive” or “How do I connect with my higherself?”. The typical answer would be to start streaming energy and consciousness to your psychic glands (the pineal ”third eye”, pituitary, and perhaps the heart center) as these are the most common centers for psychic information to come through. However I must say that as of late I have noticed that many people have their psychic glands open enough already to begin building their intuitive capabilities. The issue is not in their ability to receive information the issue is having a clear system. A clear system means that all of your energetic centers and subtle bodies (emotional, mental, spiritual, physical) have achieved a certain level of balance. Balance within your entire system is just as important as awakening the psychic glands. WIthout a balanced system you will have difficulty interpreting the information you are receiving if you are close enough vibrationally to receive it at all. You do not have to achieve perfect balance, obviously, but there is a specific minimum level of coherence needed in order to get good information. This level of balance is maintained via your higher self and can be described as an energetic homeostasis, no matter where you are you are always being pulled to get there, you always feel it. Your consciousness is always magnetically attracted to become more balanced,more coherent. To be more specific your consciousness is always being drawn to achieve the particular level of balance that you feel via your infinite connection to your higher divine self. Your higherself is your eternal reference point for your point of balance and can be accessed immediately. It is in that state of homeostasis that you become extremely intuitive. In order to achieve that state you may need to balance aspects of yourself that seem unrelated to psychic powers such as: Physical exercise, detoxification of the body, doing things outside of your comfort zone, painting, writing, becoming more social. You may need to balance your second chakra and become more creative, releasing the creative energy that wells up in the second chakra can be extremely helpful in psychic development as it creates a steady flow that pulls in new energy as creative energy is released. Your grounding chakra is also extremely important as the more grounded and connected to the Earth (third dimension) you are the more grounded your information will be. You will find it easier to comprehend the information if you are grounded, without a balanced base chakra information can become too “airy fairy” and unspecific. I notice this phenomenon with certain channellers that somehow seem to say a lot but for some reason the information doesn’t stick or it irrelevant- The information needs to be grounded in order to truly and deeply connect with others and yourself. The Third Chakra much also be in check as in many people it is much too large and funnelling too much energy. You can bring balance to your energetic system simply by bringing your consciousness there with the intention to create harmony and surrenderiing, your system already knows what to do. Good luck on your intuition developing adventures! This piece is part of a book on manifestation that I am working on so many of the dreams provided are connected to the manifestation process. If you have any “queries” (mur hur hur) or would like a dream interpretation or some council on your dreams I am more than glad to help. Shoot me a message and we can set up an appointment. Our dreams are barometers of our current level of coherency. They reflect to us where we are mentally and emotionally via the atmosphere of our dreams and the metaphors they reveal. Through learning to recall and interpret dreams we can gain a better understanding of what mental tapes are playing in our heads throughout the day and how we truly feel about where we are in our life. When we dream the conscious mind and the ego take a break leaving us able to honestly experience our level of coherence (inner harmony) first hand. How to examine a dream. 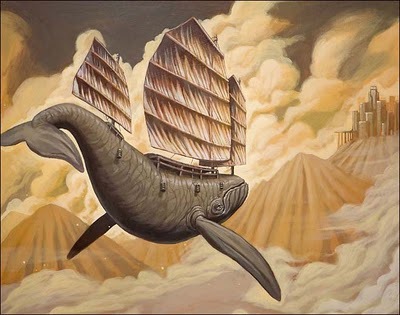 Dreams can be strange and confusing if we take them literally, so it is best to dissect your dreams with an open mind. Keep a dream journal and pen beside the bed so when you wake up in the morning you are easily able to record your experience. Having a book with all your dreams recorded allows you to look back for patterns allowing you to gain a deeper understanding of yourself and your situation. It is also pretty awesome to look back at what your dreams were like when you were going through certain situations. It helps you understand your subconscious and how it communicates with you. First begin by writing some words that describe the emotional atmosphere of the dream. This is going to be an emotion that is prominent within you. You can start simple and get more detailed as you go. For example if you have a dream that you are running from something you may write: Fearful, feeling unsafe, rushed, tired. Simply by taking the time to do that you are able to get a feel for the tone your subconscious is communicating to you. Our subconscious mind works with the higher-self to reveal to you exactly what you need to know right now via your dreams. Once you have clarified the emotional foundations of you dream you can begin making connections in your waking life, this happens naturally. You may start to notice parallels between your dream and experiences you are having in your life right now. Often sitting in meditation with your dream will allow deep insights to bubble forward. The best way to understand your dream is to observe information that comes forward and let your higher-self push insights into your conscious mind. There is very little logical analysis needed in dream interpretation, as the logical mind may not yet be familiar with the patterns your subconscious mind is revealing. The logical mind wants to label and place our experiences in boxes, that is its way of “understanding”, our dreams are attempting to help us expand beyond the labels and boxes of the ego. We also need to give our higher-self the chance to show us how it communicates, many times the information we receive from it is complete, meaning that we do not need to dissect it with out logical minds at all. Our dreams are mirrors of where we are mentally and emotionally. They reflect back to us the belief systems we have at the moment, the deep emotions that we are feeling as well as the atmosphere of the mental tapes we play in our heads day after day. When our dreams start to become heavily themed in feeling stuck, loss of control, etc. or nightmarish it is a good indicator that some patterns we need to release in our life have surfaced. Some interesting dreams that come in in regards to manifestation. *Avoidance, feeling as though your world is happening too fast, needing to release pent up energy. If you dream that you are driving a car with no breaks, it could symbolize that you are currently not feeling in control of your life. It may be time to slow down and become more present in your affairs. One may also want to do some introspection in regards to what they are avoiding or speeding by in their life. The feeling that you are feeling in the dream, the loss of control is a real feeling in your life, use the dream to show you the roots of this feeling, where in your life are experiencing this. *Conflicting belief systems resulting in a mental and emotional paralysis or feeling of futility. Fear in regards to taking the next step in life. If you find yourself having a dream where you are putting a lot of effort into something with no results such as: tirelessly working with no outcome, trying to move through thick mud, even trying to hit someone and the hit not connecting. This dream can symbolize a feeling of pointlessness and internal conflict regarding taking the next step in life. The mud or the force in the dream that is holding you back is literally a thick fear that you have that is holding you back. You may have a lot of negative tapes playing in your head that are preventing you from seeing yourself productive and moving forward in your life. It may be wise to figure out what area of your life you feel is futile and begin empowering yourself in that area. Meditate on the dream and see where you are fearful and begin doing affirmations and taking action steps to release the fear. Being held back by strong fear based belief systems. In the paralysis dream we are confronted by a very heavy and overwhelming fear, most likely one we have been avoiding for some time. 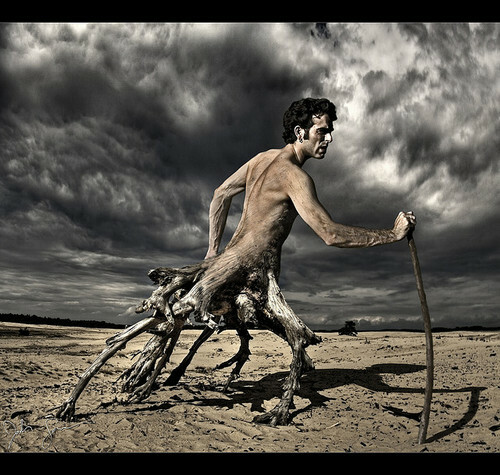 The futility dream represents a fear that if left unexamined may potentially begin appearing as a paralysis dream. Paralysis happens when your higher self and your ego have two conflicting messages, for example, your higherself may have been sending you intuitions to change your job, instead of taking steps to get a new job you ignore it. Eventually the higherself get’s louder and louder and in order to continue in your job you need to side with the ego’s protective, fear based reasoning. Eventually the friction and energy that builds up around this scenario will begin feeling like a paralysis as subconsciously the higherself and ego are cancelling each other out, causing a lack of forward motion, or, paralysis. There are also dreams that reflect your progress. Opening up the expression channels in your body. Releasing of fears makes room for you to express yourself. These dreams symbolize that you are taking some solid steps in aligning with your heart and have released some unnecessary paradigms. For example dreaming that you are singing to an audience, providing you don’t sing in your waking life, can mean that are expressing yourself after feeling as though it was not safe. The same goes for dancing, speaking or any other activity where you are expressing yourself. This is a good sign and shows that there is good communication flow between your heart and the physical world. 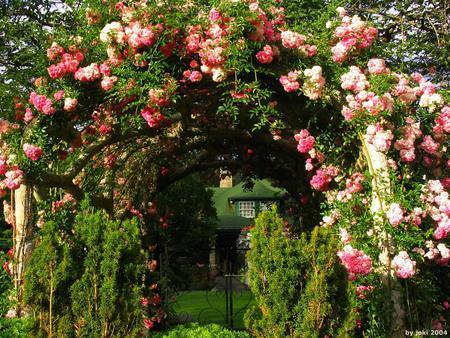 Clean water, beautiful gardens, and picturesque landscapes. Beautifying your life and the world around you will reflect as beautiful dreamscapes. As you begin really manifesting your goals in your daily life your dreams will begin to reflect that progress. Many times your dreams will become beautiful and vibrant showing you that you are on the right track. It is not uncommon to get power metaphors like: a garden blossoming or plans growing around you symbolizing your newfound growth. When you are blossoming so will your dreams it means that you’ve figured out how to create a very fertile inner and outer environment for you to express your self. Congratulations. Another dream that symbolizes progress is crystal clear water. Water represents the emotions and water in dreams represents the emotional channels in the body. If you find your self in crystal clear water it means that you are doing are creating balance within your emotional body. Flying dreams, running without needing to rest, leaping and playing. Taking the leap, trusting the flow and jumping in, working with the elements around you. These dreams are good indicators that you are making big steps in your life and your energy is shifting. You are taking leaps and bounds literally. Movement is usually interpreted as air energy or wind and relates strongly to the mind. The more in control and joyous your movements are the more balanced the mind is. If you feel out of control or afraid as you fly or run you may be fearful of your progress or feel as though you are being dragged forward in stead of stepping forward. The smoothness of your movement in dreams symbolizes how much you trust your mind and how connected the mental body is with the emotional and spiritual bodies. Generally these dreams where you are zipping around freely indicates that you have a good handle on your affairs and that the action you are taking is balanced. Leaping, playing and flying indicate that you are internally celebrating some progress and realizations you have made. Perhaps you have recently transmuted some pain and gone through a big release and have become much lighter. Flying and running freely without slipping can also symbolize the ability to work with the elements around you and a strong connection developing with you and your daily environment- mastery, even. Dreams are the gateway into our higher mind. They provide a pure evaluation and expression of exactly where we are. They are there to give us feedback and clarity and perhaps, when we get good enough, a way to travel in the astral world. Take the time to use your dreams as tools or barometers to show you how you are doing. Your dreams are honest, there is no conscious ego in them trying to work an agenda or trick you. Your dreams are heavily metaphorical and therefore have a learning curve, so be patient with yourself and know that you will know exactly what you need to know from them. They are alive and will communicate with you and teach you how to read them as you go. For this reason they are incredibly self-empowering and vital to you understanding where you are in your life day by day. 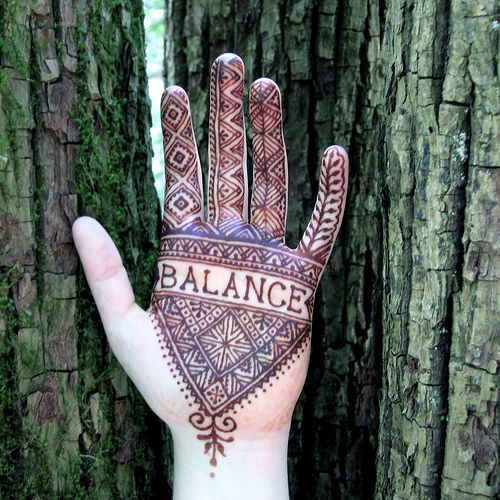 Take time to Mediate on them to get deeper insights into where you are and how you can create balance. Working with your dreams will answer many of the questions you form about your life through out the day, so, use them. After a particularly emotional and difficult 24 hours I headed out for a walk on my usual forest meadow path. However, this walk was special. As I was walking I was contemplating how to maneuver difficult times in life. I was wondering how someone can move gracefully through a situation when they feel like they are completely blind. Just as I thought that I saw a strange bird dipping and flying in circles right in front of me. As I looked closer I noticed that its wings were pointed and it didn’t have any feathers. It was a bat! In broad daylight! Noting the strangeness of this beautiful nocturne swirling in front of me and the significant time of its appearance I knew I had to find out what it represented. I sent it love and gratitude and opened my heart to hear its message. Here is what I intuited from my experience. Bat medicine is incredible medicine. 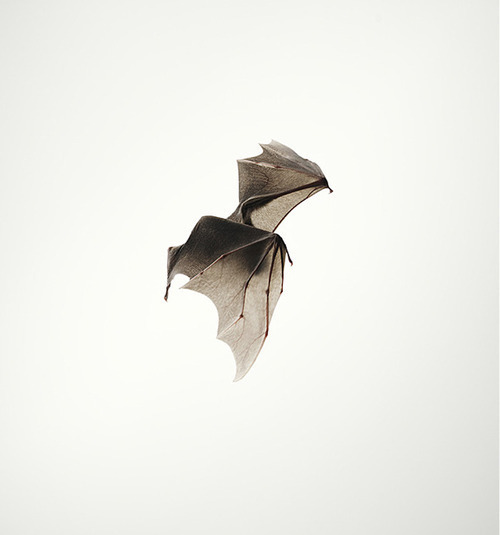 Bat medicine teaches us to fly through life via what resonates. Incredibly, the bat does not rely on what his eyes tell him as he does not physically see the world around him. He is not bound to appearances as we are, instead, he relies on resonance/echolocation and feelings to determine where he is going. He does this through vibration, he sends out a vibrational frequency as he flies, and waits for it to resonate back to him. Once he has received his resonance he decides what direction he should move in. What if we did this? What if we took the time as we walked through life to scan and communicate the world around us through invisible resonance beams? What would reverberate back to us? What if we made decisions based on what resonates with us as a whole as opposed to what we “see” (as our eyes only perceive via the paradigms of the mind). Bats are reminders of how to live with your heart. Like a bat allows his sonar to scan his path as he flies, allow your heart sonar to scan your path. Learn to read your hearts resonances as the bat has learned to use his sonar resonances. The heart’s echo’s contain all the information you need to navigate life. A new life can be created based upon how things genuinely feel as opposed to our perceptions of them. Our feelings and intuition represent the path that brings us the most joy. 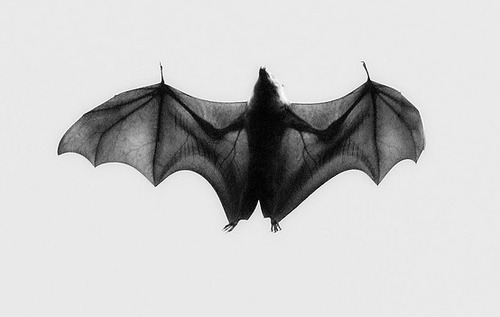 Bat medicine challenges us to interpret the world around us via our heart and intuition. Intuition is simply another word for the echolocation process of ones heart. 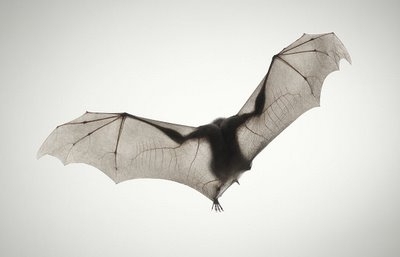 Bats are nocturnal creatures. They spend their evenings cloaked by the night sky feeding on insects. This ability to thrive in the dark is also symbolic. Darkness represents the unseen, the hidden. It symbolizes un-manifested energy and unrealized potential, the aspects of ourselves that are hidden. It also symbolizes undiscovered talents, potential creations and ideas, as well as patterns within our consciousness that we are not yet aware of. Even though this dark world of unknowns is fearful to the egoic mind (as it insists on “seeing” and “knowing” in order to feel secure) the bat,via resonance, navigates it with ease. In fact, it THRIVES in it. Perhaps the reason why people fear bats is because of their uncanny ability to flourish in the dark. Venturing into our own darkness and un-realized potential is probably one of the most shocking and fear inducing challenges we face. Many people are more afraid of the potential that waits un-manifested inside of them than anything else. The creatures of the night, like bats, simply mirror this fear to us. They teach us how we can thrive in our “unknowns” and be at peace with aspects of our own consciousness we cannot see. Through them we learn that when we find ourselves in a dark night of the soul we can get through it like bats relying on our own echolocation abilities.